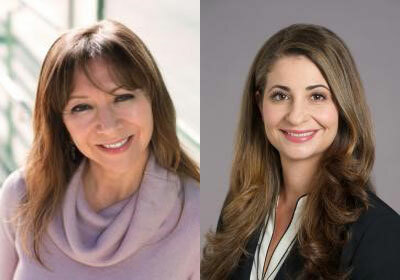 Marcella McLaughlin and Saba Sheibani were appointed as San Diego Superior Court judges.A San Diego County deputy district attorney and a deputy public defender are moving to the other side of the bench. All rise for Marcella McLaughlin and Saba Sheibani as they enter San Diego County Superior courtrooms. The two were among 25 judges appointed by Governor Edmund G. Brown Jr.
McLaughlin had worked since 2005 as a deputy district attorney, and prior to that, as a deputy city attorney in the San Diego City Attorney’s Office. She earned her law degree from the California Western School of Law and a Bachelor of Arts degree from UC San Diego. Since 2016, Sheibani has been an assistant supervising attorney at the Public Defender’s Office and served as a deputy public defender since 2004. Sheibani earned her degree at UC Hastings College of the Law. Public Defender Randy Mize praised Sheibani’s work ethic and dedication to serving others. “Our loss is certainly the court’s gain as her capacity for excellence and commitment to fairness will make her an exceptional judge,” Mize said.